These acoustic guitars are great for adults or teenagers just starting out. They sound great and are reasonably priced. These acoustics packs are great for kids and adults and include a guitar, tuner, gig bag, strap, and pick. They sell for $99.99. 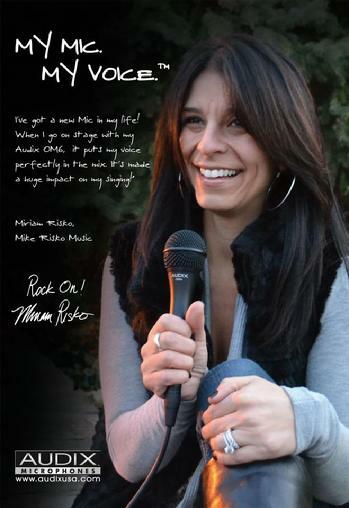 Mike Risko Music carries Audix Mics. We also use them on all our shows so we can tell you first hand what kind of mic best suits your needs! To complete your band, your bass players can choose from a cool selction of bass guitars. You'll need an amp to play your electric guitar! Drum sets for every drummer! If you need cables for microphones, PA systems and instruments, we always have them in stock. Try these beautiful Nylon strings from the Godin Family of guitars. This Godin Multiac Guitar is a personal favorite of Mike's. Why? It plays great and has very versatile electronics. He uses it when he plays, come try it yourself! We carry electric guitars in so many styles and colors. Come on in and check them out. See which one is your future guitar. With so many acoustic guitars to choose from, make sure you have lots of time when you stop by the store. If you need a capo or some other accessories, we have a large selection to choose from. Zoom makes some very cool pro-audio equipment like the Q3 handy video recorder with brilliant stero recording. This PA system by Samson has crystal clear power in a compact, portable design. This PA sells for only $499! Mike Risko Music carries a large selection of Godin guitars. Come try one out!